We will be learning about the different types of homes lived in by humans across the country and the world. Later on, after half term, we will be learning about animal houses and homes. 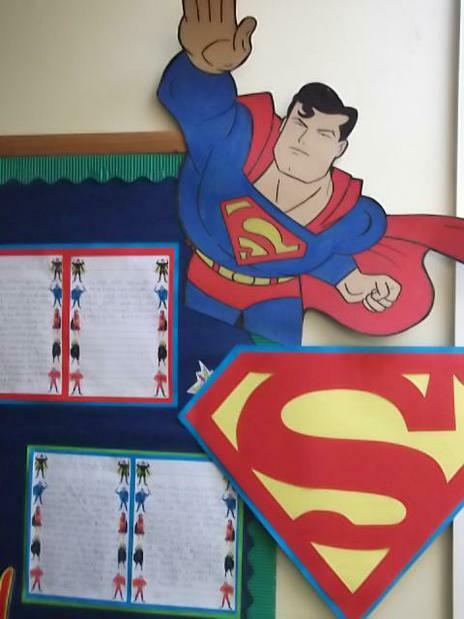 We have written some wonderful superhero stories! 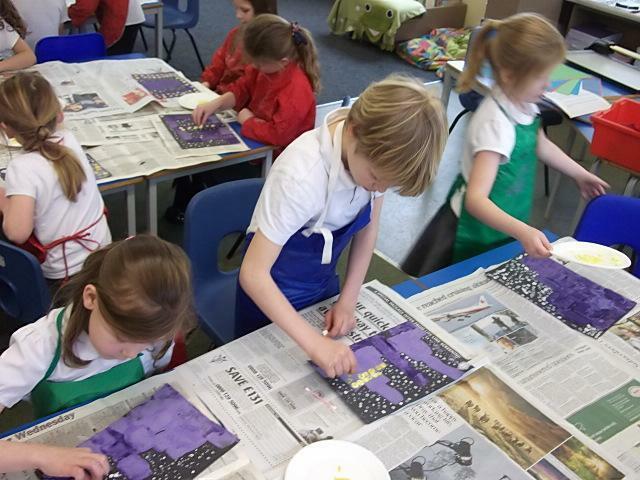 We have used printing and paints to create some brilliant cityscapes in Art! We have used Espresso Coding, the iPads and the laptops to write code to make characters move around our screens in Computing! 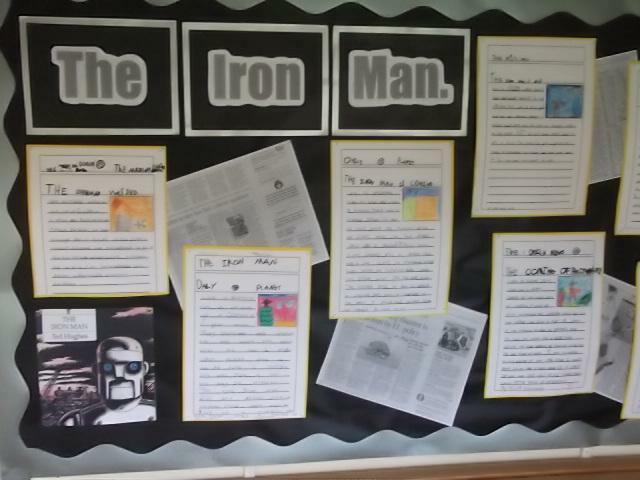 'The Iron Man' by Ted Hughes! 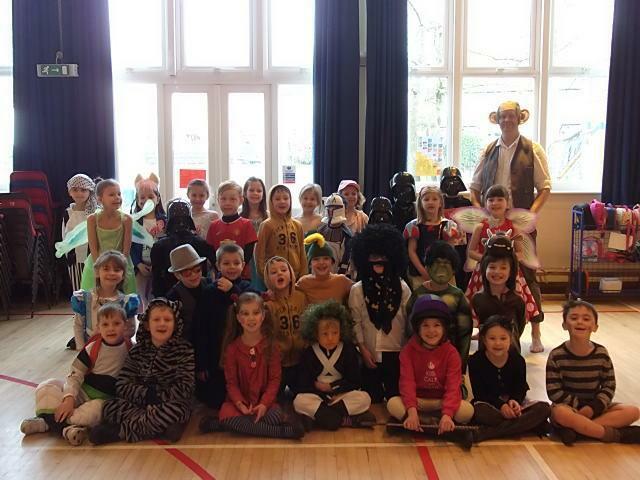 Please read on for details of what we learnt during the Autumn Term. We have been busy so far this year! In English we looked at traditional tales, especially ones which were about fire. We acted out different parts of our tales and also created oil pastel pictures in art. 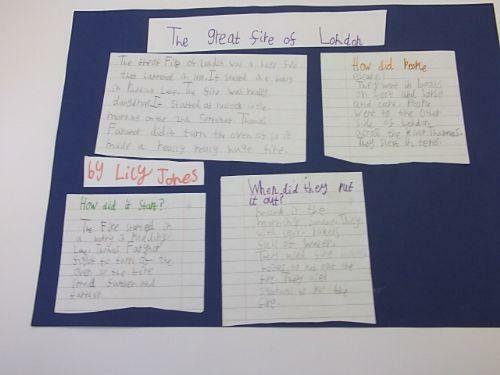 We researched the Great Fire of London and made our own information posters. In Maths we looked Number - initially place value and number facts. 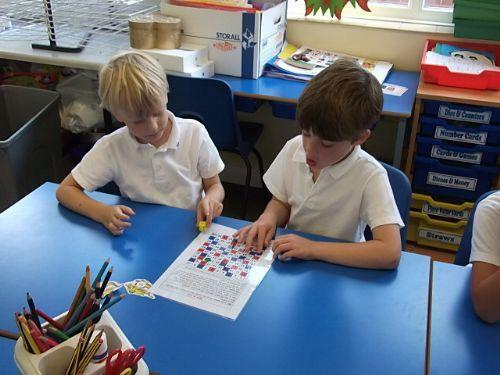 We have played lots of games to develop our skills. With Mr Rich, we will be looked at Measurement and Geometry. 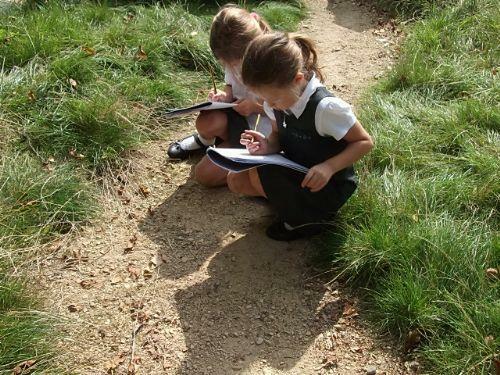 During Science we have made use of our outside area; exploring our natural environment and the changing seasons. We spent time as a class recapping our Golden Rules and organising an exciting Golden Time on Fridays where we can develop our own learning from the week in structured and free activities.